Gartner is generally one of our favorite go-to sources when it comes to the latest industry rankings and breakdowns. With their Magic Quadrant series, the analyst firm annually updates the standings of different competitors and providers within the same market, all while providing a solid foundation and definition for what makes up the service they are looking at. Just as we have done in the past with Gartner’s UCaaS Magic Quadrants, we always like to take a look at the latest update to see where the current market stands. 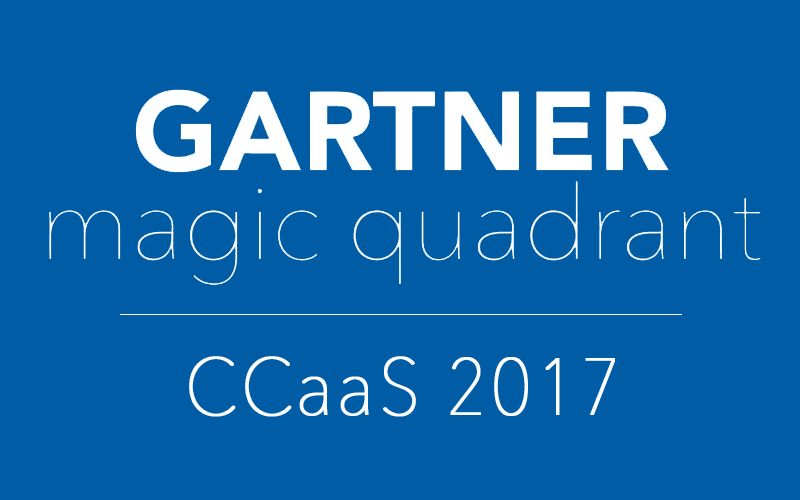 This time, we wanted to take a closer look at something a bit different, Gartner’s CCaaS Magic Quadrant. Call Center Software, and Contact Center as a Service solutions are a plenty, and we have covered many in the past, but we were really curious to see exactly how Gartner rounds up the market, and what classifies a provider as a leader, challenger, niche, or visionary player in 2017. How Does Gartner Define CCaaS? 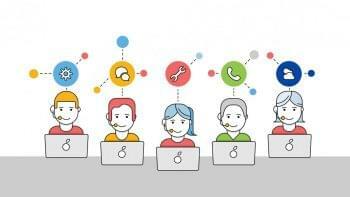 Well, for starters, CCaaS stands for Contact Center as a Service. And just like other “aaS” solutions, this generally means that the entire platform will be delivered to your business through the cloud, as a hosted solution. 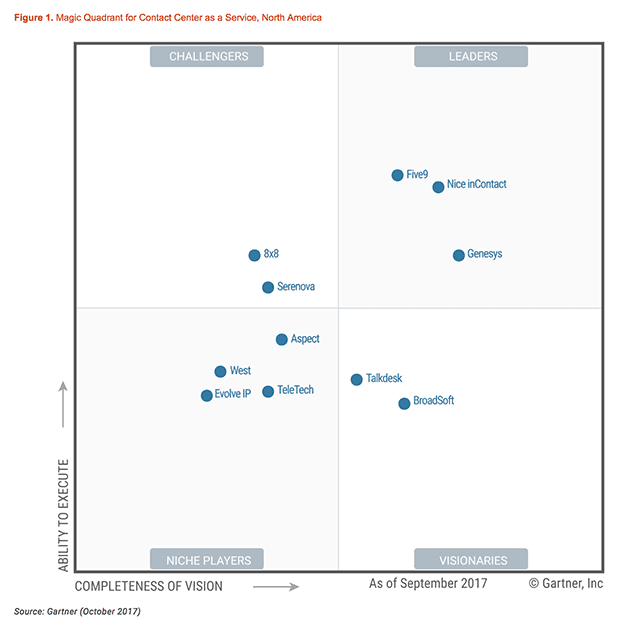 So essentially, Gartner is ranking all the different Cloud Contact Center software providers. But, it’s not exactly that simple, and Gartner breaks the category down a bit further than just that simple definition of Cloud vs. On-Premise solutions. Application specialists include companies that are both platform provider and service provider, such as 8×8, Evolve IP, Five9, Nice inContact, Serenova and Talkdesk. Communications service providers (CSPs) are legacy network service providers with core strengths in voice and data services. There are no CSPs in this Magic Quadrant. System integrators include companies such as TeleTech (through its acquisition of eLoyalty) and West. They usually provide CCaaS by running commercial unified communications applications (often from Avaya, Cisco or Genesys) from their own data centers. Software technology providers include companies such as Aspect, BroadSoft and Genesys. All of these established vendors now provide a CCaaS offering, and many market their solutions directly to end users. Since Gartner updates their Magic Quadrants annually, it’s always interesting to take a look back at the previous year and compare it side by side to the current year. This helps provide us with insight into who is doing well, and who might be struggling to stay afloat with the competition. We’ll generally see a decent number of providers jump around for one reason or another, but this year compared to 2016’s Magic Quadrant didn’t see too many drastic changes. Nonetheless, it’s still important to look at what did change. Now, this actually makes 100% perfect sense. After all, Genesys went ahead and acquired Interactive Intelligence back in December of 2016. Interactive Intelligence fell off because, well, they don’t exist on their own anymore. Part of Genesys’ jump to leader could probably be appropriated to this absorption of InIN, but interestingly Gartner makes no mention of the acquisition in their Magic Quadrant. 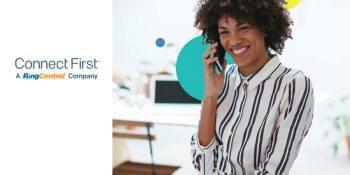 Genesys supports CCaaS services for one of the largest installed bases of agents in the Magic Quadrant, meaning they offer a solution for a wide range of customer sizes and complexity. The PureEngage Cloud and PureConnect Cloud solutions “use similar code bases to their respective premises-based offerings.” This allows for a simple on-prem to cloud transition. So, the only moves in the Quadrant were InIn going away, and Genesys jumping to a leader thanks to the absorption of InIn. But since there weren’t many changes, let’s take a closer look at the existing leaders besides Genesys, and see what they’re up against at the top of the market. Beyond taking a look at how the market has shifted in the past year, we also like to take a close look at the current market leaders, and what exactly makes them market leaders. This helps both businesses understand why Gartner recommends these providers the strongest, but also provides insight to other providers looking to improve their service and compete with the market leaders. 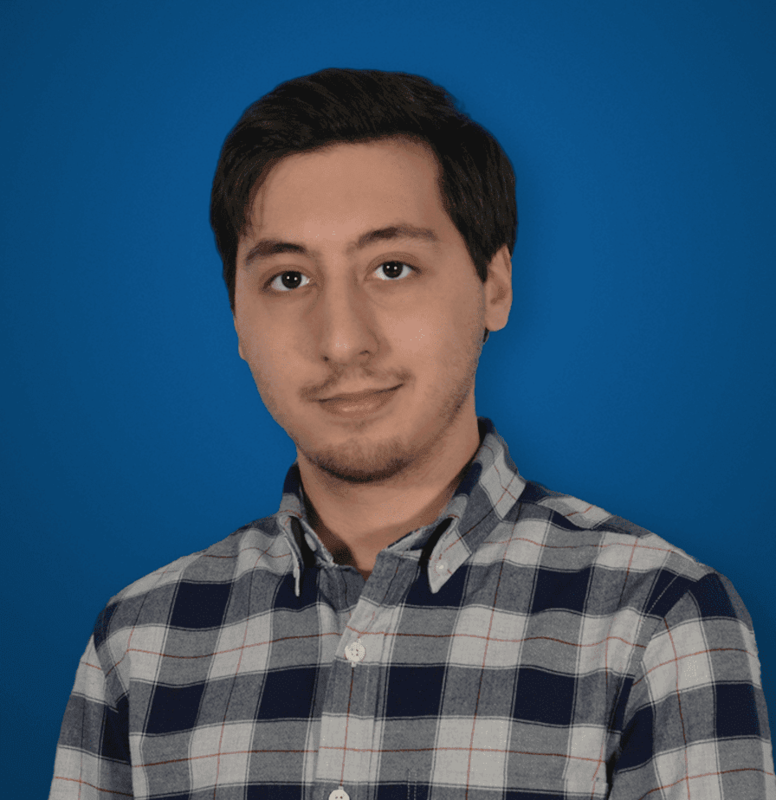 A unique use of a “native natural-language understanding engine” to help deliver real-time insight to agents, as well as predictions on how to best respond with recommended next actions. A very strong partnership with Salesforce for deep integration into their CRM platform, among others including Desk.com, Microsoft Dynamics, NetSuite, Oracle, ServiceNow, Velocify, Zendesk and Zoho. Also based in the U.S., this time in Salt Lake City, Utah, inContact has been offering CCaaS solutions since the early 2000’s. However, inContact was just acquired by Nice of Ra’anana, Israel, back in October of 2016, which only helped to further bolster and improve the service. Nice inContact’s “purpose-built customer interaction management platform” was combined with “cloud-based WEM functionality” from its parent company of Nice to form a complete and robust package. Service is offered based out of two data centers in the U.S. as well as a data center in Germany for European deployments, but also 2 AWS data centers in the U.S. as well as another AWS location within Europe. Overall, Nice InContact has a strong brand recognition in the CCaaS market, and Gartner noted specifically for midsize solutions and deployments. A strong brand presence within the CCaaS market, and ability to serve midsize and large deployments both in the U.S. and Europe. The company has been able to expand its global footprint due to the “greater corporate financial assets” that the Nice acquisition brought, as well as a global sales network. As I mentioned above, Genesys is the latest addition to the Leader quadrant this year, and really the only change compared to the 2016 Magic Quadrant. This seems mostly due to the acquisition of Interactive Intelligence completing last year, with the provider now offering new PureConnect Cloud and PureCloud solutions based off Interactive Intelligence’s offerings. Gartner noted that combined with Genesys’ existing on-premise solution, PureEngage Cloud, the provider has a good range and variety of platforms aimed at all different customer requirements. PureEngage Cloud supports multi-instance solutions, which Gartner noted are aimed at lar ge and very large customers, over 750 agents; the service is also provided through two U.S. data centers, two Canadian data centers, one in the U.K, one in the Netherlands, as well as Australia, Singapore and India. Meanwhile, their new PureConnect Cloud supports solutions aimed at midsize and large customers, typically in the 150 to 750 seat range. PureConnect Cloud utilizes two data centers in the U.S., two in Canada, one in the U.K and Germany, two in Australia and two in Japan. Overall, there wasn’t much of a drastic change between the two years — as I already noted multiple times, the only real change was Genesys moving up to a leader. And this makes perfect sense, with their acquisition of Interactive Intelligence last year, the provider is now capable of offering service in every size and space of the market, from small teams under 250 agents up to massive teams with over 750 agents. It was no surprise to see Five9, and Nice inContact remain strong in their leadership positions as well, we’ve known for some time now that Five9 is one of the strongest choices in the market, and just like Genesys, Nice’s acquisition of inContact has allowed the provider to leverage new additions to their portfolio to expand coverage around the globe. It’s also interesting to see Talkdesk marked as a visionary, a rating I agree with after hearing their plans to fix customer service. Overall there weren’t really any surprises in this year’s Magic Quadrant, and we’ll see how the market pans out next year when the dust officially settles on the Cisco and Broadsoft acquisition.